As per the press release of Novex Communications, the Hinjewadi Police Station, Pune has filed an FIR against organizers of the DA-BANGG TOURS, Sameer Pawani & Manish Lanjekar (Directors of Four Pillars Event Management Services Pvt. Ltd) upon a complaint filed by Novex Communications for cheating and copyright infringement. Novex has alleged that the organizers cheated Novex by going ahead with the scheduled tour without paying for the public performance rights to Novex even after their cheque bounced. “The very recent mega glamorous event, DA-BANGG TOURS, held at Shree Chhatrapati Shivaji Sports Complex – Balewadi, Pune. It featured glittering, high-octane, performances by Salman’s Khan and his Dabangg franchise co-stars as well as Bollywood A-list stars like Sonakshi Sinha, Katrina Kaif, Prabhudeva, Daisy Shah etc. Besides Indian cities, the Da-bangg Tour had slated performances for the Indian audiences across the globe, especially at NRI-heavy destinations like US, Canada, London, Hong Kong, Auckland and Melbourne. Novex currently holds the ‘On Ground Performance Rights’ of Zee Music, Shemaroo, Eros, Tips as an assignee of these rights and has been authorized by M/s. Yash Raj Films Private Limited as its authorized agent to exploit public performance rights’ in the “sound recordings” of the songs contained in the Films which are part of the repertoire of YRF in accordance with Section 30 of the Act. 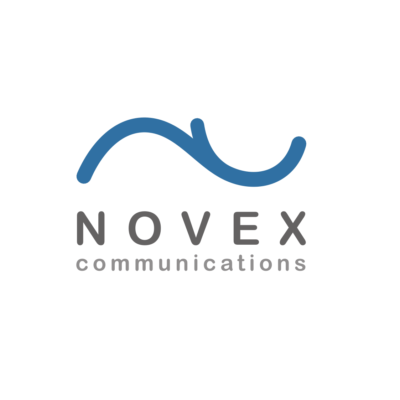 The copies of all such previous agreements are available on the website of Novex here. Recently the Delhi High Court dismissed a suit filed by Novex against National Restaurant Association of India (NRAI) seeking a declaration that certain letters issued by NRAI are illegal, null and void, which opined to its members that Novex could not carry on the business of granting music licenses without being registered as a copyright society. Novex had further sought injunction against the defendants from issuing such letters denying the legitimate rights of Novex and restraining them from acting in its furtherance and further restraining the defendants from publicly performing or in any manner communicating the sound recordings in which Novex has rights. Novex further sought damages to the tune of INR 1 cr. The Delhi High Court rejected the plea of Novex stating that the suit was misconceived and not maintainable. The Court observed that Novex could not compel NRAI members to obtain license from it but could file a separate infringement suit against the individual members if they were found infringing the rights of Novex. The Court further rejected Novex’s claim on Section 60 of the copyright Act and stated that rather than Novex being entitled to declaration against NRAI, it is NRAI who has been conferred a right under the statute to, if of the opinion that claims of Novex of copyright and threats meted out by Novex of infringement are groundless, institute a suit seeking such declaration and to injunct plaintiff from doing so. 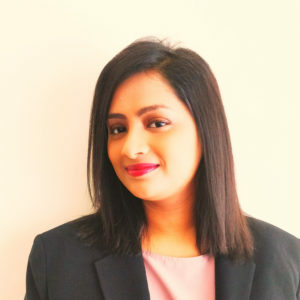 In my post here, I had covered the cases of certain hotel chains moving against Novex before the Bombay High Court under Section 60 of the Copyright Act for groundless threats. The suits are still pending before the Bombay High Court. I had further provided the details of several cases against Novex such as the Leopold Café case, the case instituted by EEMA and a list of around 20 other cases which Novex has instituted against several hotel chains in Delhi and Bombay High Court. Last month, the Banjara Hills police, Hyderabad had booked a case against Park Hyatt Hotel for copyright violation, after the management of the hotel allegedly played audio tracks and videos of Bollywood films without acquiring proper permission. In view of the IPRS vs Aditya Pandey suit being dismissed by the Delhi High Court, one can interpret that the CISAC vs Aditya Pandey judgement of the Supreme Court is no longer applicable since it was an interim exercise of the court to find a reasonable solution until the disposal of the suit. The CISAC judgement had led to varied interpretations on whether dual licensing is required post 2012 Amendment or whether the decision was limited to pre-2012 Amendment. However, as far as Novex is concerned, it appears that the hotel owners / event organizers who exploit sound recording rights for on ground public performance, would require to obtain a license from Novex since Novex holds these rights as an assignee of copyright. This position was clarified by the Bombay High Court in the matter of Leopold Café v/s Novex Communications. It would be interesting to see how the overlap of public performance rights is handled between IPRS and Novex. To understand the mess, let’s take an example-Tips Industries Ltd seems to be a member of IPRS and has assigned the on-ground performance rights to Novex. (Let’s assume these rights have been granted in consistence with the obligations of Tips as a member of IPRS as required under Section 33 first proviso) So, if an event organizer plays a song from the repertoire of Tips, the organizer would need to procure sound recording license from Novex for a license fee. However, for exploitation of underlying works in sound recording, royalties would be payable to the authors and assignee under Section 18 and 19 of the Copyright Act. So the organizer would need to go to IPRS (if the author is its member) for another public performance license to pay the royalties to the authors. However, Tips has assigned only the sound recording on ground public performance rights and not the underlying rights in it. Therefore, royalties for exploiting the underlying works would go to Tips and authors in equal ratio. However, if Tips had not been a member of IPRS then how would the event organizer have paid royalties to such a music label? Will the event organizer in such a case need to pay only 50% royalties to IPRS and balance 50% to the label? If so be the case, who would determine the royalty rate at which the organizer needs to pay to the label if the label is not agreeable to the tariff scheme of IPRS. And what happens if only lyricist is a member of IPRS and music composer is not? How would royalties be distributed then? There are umpteen permutations and combinations here which could go wrong. If only the Copyright Amendment Act could have had one clear clause on royalties setting out who is required to pay royalties, when are royalties payable, how are royalties payable, whether they are payable retroactively or proactively , are dual licenses required or not required, etc etc… But that’s just wishful thinking for now.